we are making progress in the foyer reno! here are out material selections and progress pics of the day! we are excited to see color go on the ceiling! Check out the material selection, we are clear coating the exposed old pine flooring, the nickelgap will be painted semigloss in ivory, matching the trim. The walls will be ivory, eggshell while the stair newel posts, risers and stair baseboard will get a dark charcoal accent color, while the spindles stay white. 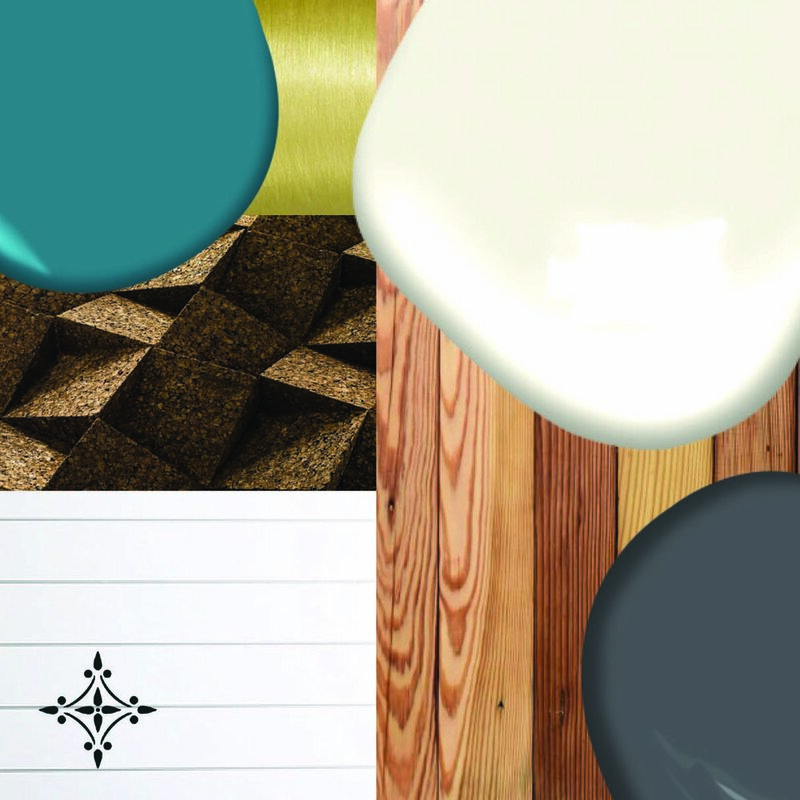 We are adding some color on the ceilings with Benjamin Moore’s Varsity Blue, which will be an awesome backdrop for the reclaimed, wood and brass decorative pendants. The custom info cork board and reclaimed shelving will top off the space and make it unique and functional. The wall mounted bike racks will add the final components to create an air bnb foyer that will impress!